They say your loved ones never leave you, but if you want to carry their memory with you always, Merry Coor will craft their ashes into a stunning memorial bead. “The bead is the first adornment that people ever wore. I think people are drawn to the bead because of that,” Coor told The Huffington Post. Coor made her first memorial bead in 2014. 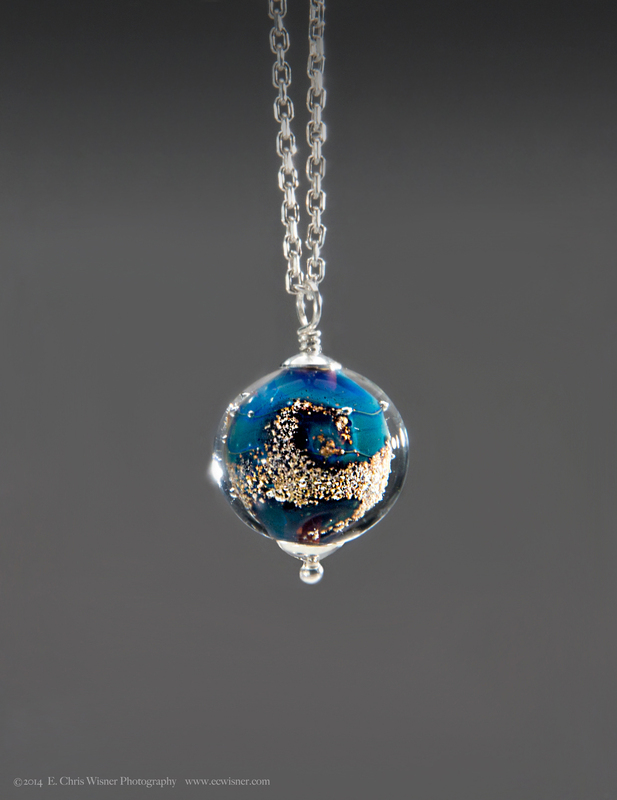 A couple had asked her to incorporate the ashes of a friend into the glass beads she's been making for 15 years. “It was a pretty huge honor and privilege and intimate thing to do with these people’s ashes," she said, later describing a tearful embrace with the couple. "I realized that this was something I could do for people. I could make a difference." Now, clients send her the ashes of their pets and loved ones through her Etsy store, which is a sideline to her Talisman Beads store in Eureka, California. As part of her process, she invites clients to send along photos, letters and music associated with their lost loved ones. Although she hears tragic stories at times, Coor says she makes sure she's in a good mood before getting to work and simply remembers how loved each person or pet was. "I think you put the energy in there, how you’re feeling. You’re just going to put good intentions in it," she said. Coor crafts all her beads herself. First she makes round beads by applying heat from a torch to rods of silvered glass, then she applies the ash in a spiral pattern. A thin coating of clear glass seals the design. 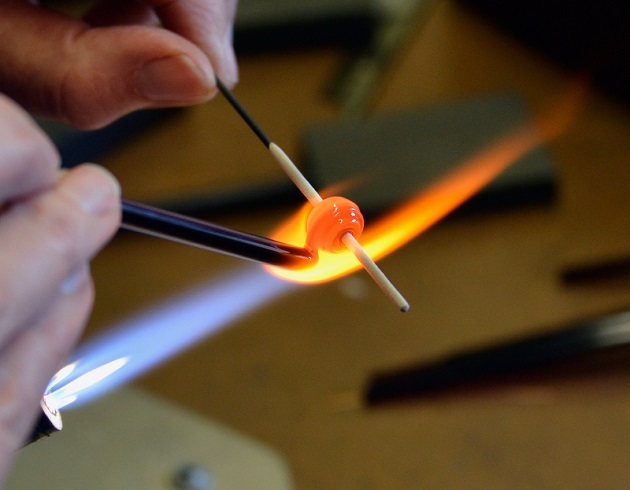 Making one bead takes "15 years and 45 minutes," Coor joked. According to her Etsy shop, the beads start at $108. Since her shop started getting attention online, she says she's received 100 orders, about as many as she'd had in the past year. “I’m getting orders from Uzbekistan. From all over the world. It’s overwhelming,” she said, adding that employees are helping her with paperwork and finishing the completed beads. Her customers seem to value the ability to carry their loved ones close to their hearts. Karen Hall-Thompson, an Etsy customer, cared for her brother for two years before he passed away from ALS. "I wanted to have my brother with me through the rest of my life, just as I had the privilege of seeing him through the end of his," she told HuffPost. "This process is very personal and special, not a cold and inhuman production line." Customer Danielle Marsalis had a bead made from the remains of her beloved dog Chloe. She said she appreciates that the bead, which she says is "very flattering," doesn't look like it's made of ashes. "Every time I open jewelry box it brings both a smile to my face and a tear to my eye," she said. Ora North, who also lost a dog, had beads made for her and her husband. A jewelry designer friend then put them on necklaces (as seen below). "We didn't get enough time with him, so the beads have allowed us to keep him close a little bit longer," she said. "I can't begin to imagine what it's like to lose a brother or a sister or a spouse or a child, but I know that what I'm doing really helps people," Coor told Humboldt Made. "I get beautiful letters back from people that are overwhelmed with the beads that I make for them." So, what's her ultimate wish? "I hope that the beads give you comfort, and help with your grief," Coor wrote on her Etsy page.